PRODUCT DESCRIPTION: Mechtric. 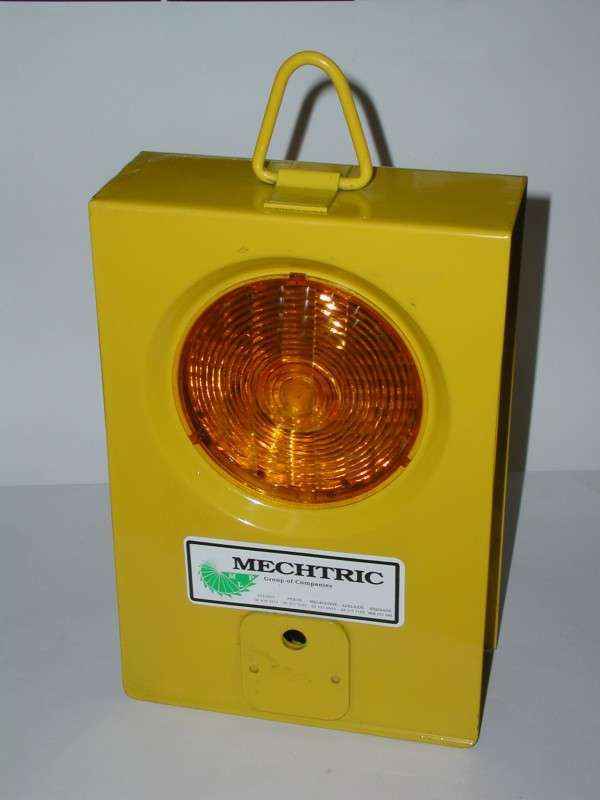 6VDC Amber Roadside flasher. Requires 2 X Lantern Batteries to operate (not supplied). Metal case. Mounting bracket supplied. CONDITION: A few scratches / marks. No box.